Miley Cyrus got matching tattoos of her Happy Hippie Foundation smiley face logo with a group of pals in November 2016. Artist Daniel Winter stopped by Miley’s Los Angeles house to do the inkings — then Miley grabbed the tattoo gun and gave him his own. Miley’s super-tall dancer Amazon Ashley, close friend Katy Weaver, and photographer Jonce were also part of the group. The design that they all got is a smiley face with two letter “H”s for eyes. It is the logo for the Happy Hippie Foundation, a non-profit which Miley Cyrus founded to help combat homelessness among LQBTQ youth. 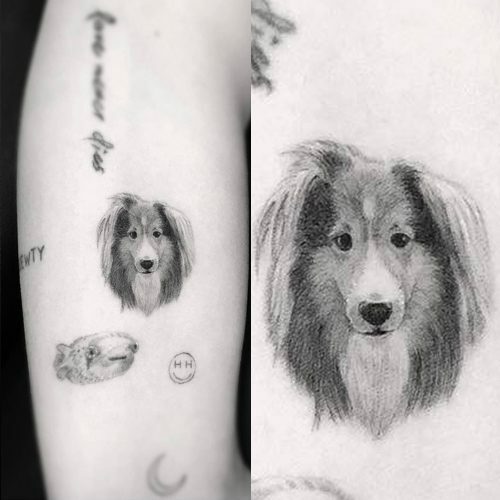 One of Miley Cyrus’s most mysterious tattoos is the tiny word “MOO” on her left forearm, which she got some time in 2015. 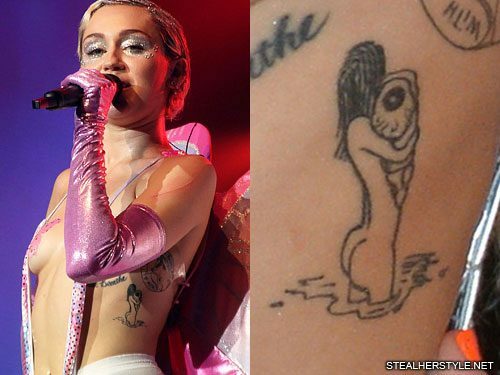 Miley has never spoken about this tattoo, so we don’t know what it means. 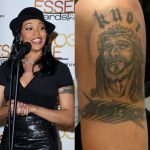 The most likely guess is that is has something to do with her love of animals and her meat-free and dairy-free vegan diet. Miley Cyrus and her friend Cheyne Thomas gave each other homemade stick-and-poke smiley face tattoos in July 2014. 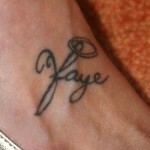 The simple design is located on the inside of her left ankle. 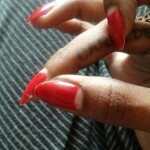 Judging for the pictures, it seems like Cheyne did a better job on Miley’s than she did on his! 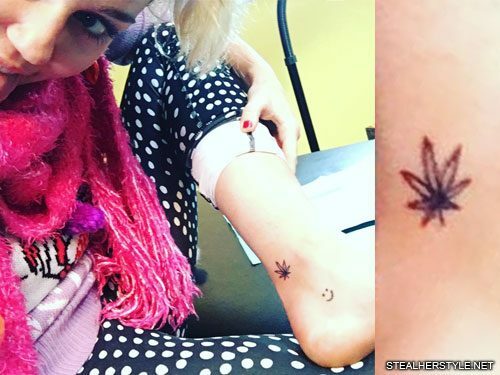 In July 2015, Miley Cyrus got friendship tattoos with Katy Weaver. The pair had a few matching tattoos already, so this time they got their nicknames for each other. 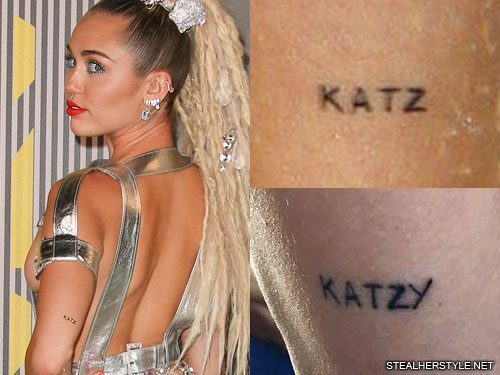 Miley got a tattoo on the back of her left upper arm which says “KATZ” as a play on Katy’s name. 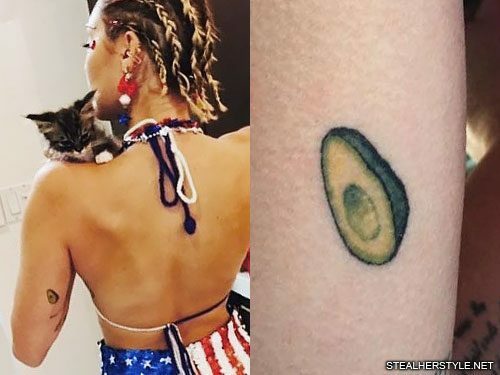 Katy’s tattoo is on her right forearm and has her pet name for Miley: “MEOWTZ.” Miley placed her tattoo close to her “BIEWTY” tattoo which is another nickname for another friend, Cheyne Thomas. 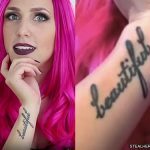 Both tattoos have the same style of simple capital letters. 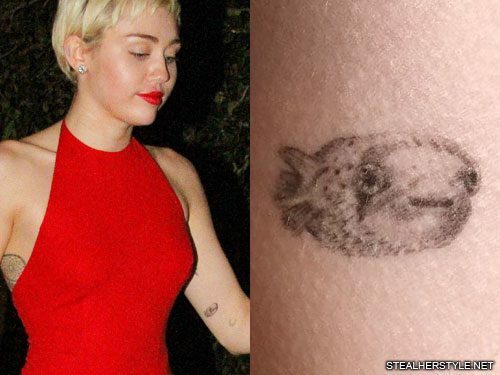 Miley Cyrus revealed a new tattoo on the red carpet at the MTV Video Music Awards in August 2014. It’s done in a watered-down gray ink which makes it hard to see relative to her other inkings. 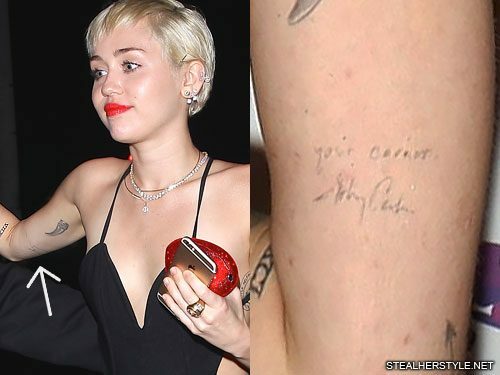 The new writing on her right bicep says “I’m in your corner” on one line with country music legend Johnny Cash‘s signature on another line below it.